I find that suddenly, when using text frames, the text will start to overlap the frame border. Henceforth, every text frame created from this point onwards will exhibit the same problem, but frames created before the problem appears are okay. Frames in a brand new document will be okay until the problem appears at some random point. Check the Baseline value (third input field in the left column) in the Character panel, Positioning and Transform section. Make sure it's set to zero. You may have applied it to a text style accidentally which is then formatting the text with that value. I had the problem at first, then started using the "Paragraph Style" that had formerly been defaulted to nothing. I decided to use "Body" (mostly) for the Paragraph Style and then the text moved inside the frames. However, I just noted today that some serifs (notably the lower-case letter "f" in my case) extend to the right, outside the frame. I don't know whether this is just a screen cosmetic thing or whether the final print would also show the extension. Using "Justified Left" for the paragraphs. See screenshot. AP 1.7.0.227 OS X High Sierra 10.13.6. Both issues are a matter of your settings. 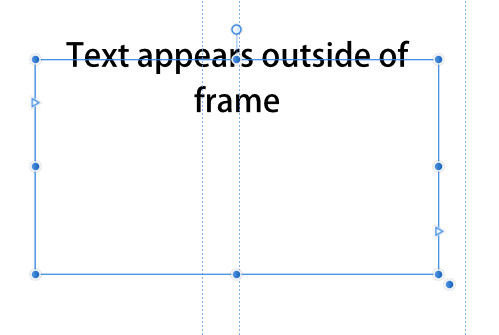 The horizontal overlapping of textboxes is called „optical alignment“ and can be configurated too. OK - thanks for the link to the other thread, which I read through. However, it seems that most of that discussion talks about horizontal left-to-right issues. In this thread, I noted lower-case descenders (vertical) below-the-line (frame) situations, too. 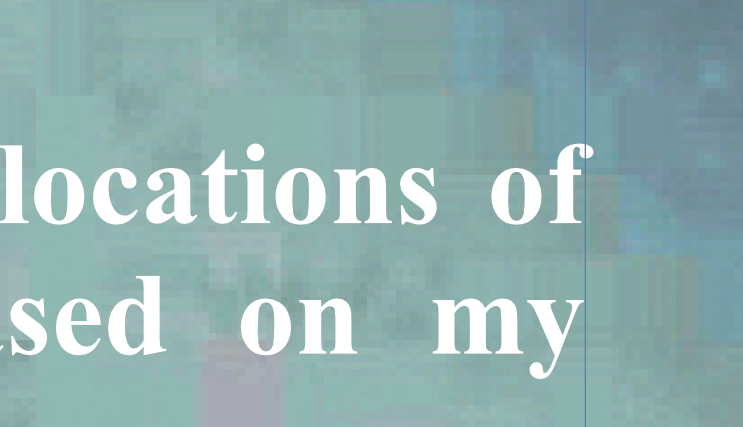 See screenshot - frame set to align to bottom using Times New Roman font. What appears to be often the case is that text can and will extend beyond the text frame boundaries under certain circumstances. What i don't understand is whether this feature is "as designed" or an anomaly. For example, is there is a way to use "optical alignment" to account for the descenders? If so, how? Thanks. I think we would need to see complete information about your Character panel and Paragraph panel, and possibly your Text Frame panel, in order to see what is causing that. A sample .afpub file that demonstrates it would be helpful, too. This is by design. The text fits at the bottom of a frame if its baseline fits. Also, glyphs are allowed to have overhangs to left or right. For example, Times New Roman italic 'f' has large overhangs. This looks like Justify All, not Justify Left. Note the larger word spaces in the second line. That would not happen with Justify Left. And in both lines the last characters are aligned with the right margin. The "f" looks odd because it has a negative right side bearing in the font. I took a look at Times New Roman Bold and found that the lowercase f character has a right side bearing of -152. Seems odd but I guess since Word defaults to kerning-Off that doing more extreme letter spacing adjustments in the font may make sense in that situation. The "y" has a small positive right side bearing (19) so it looks fine. Justify Left should eliminate this issue. Manual adjustments could be made to the "f" using kerning or spacing. Thanks very much for the explanation! I'll need to educate myself so I can use those types of adjustments.